Changing your in-game name in Sea of Thieves is a bit complicated. If you’re playing on PC, you’ll probably be appaled by some of the finer details of the process. Xbox players will already be familiar with the procedure, but they’re not the ones who are going to want to change their names in the first place. 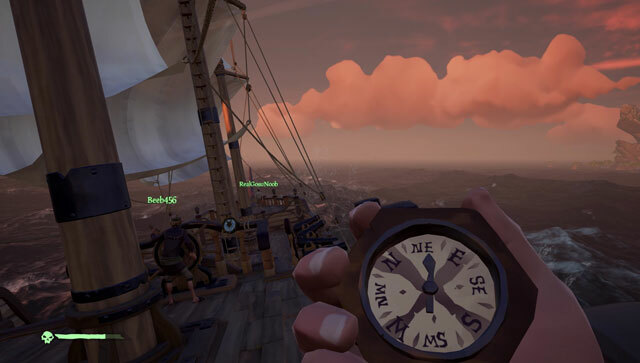 In this guide, we’re going to show you how to change your in-game name in Sea of Thieves. How to rename character in Sea of Thieves? Your character will take its name from your gamertag. The confusion stems from the fact that the vast majority of PC users never actually picked a gamertag name, so what they’re having displayed here is either their real name (the one the Microsoft account is tied to), or some unrelated nickname. Many don’t even know what a gamertag is. Select the option to Change gamertag (you can only do this once with no charge – you’ll have to pay $10 next time). Type in the new name and claim it (if it’s available). Think long and hard before you choose your new gamertag – you’re either going to have to pay $10 if you ever want to change it again, or be stuck with it for the rest of your life. It’s an incredibly weird decision on Microsoft’s part, but then again, they have a long track record of incredibly weird decisions. Same for me. How can I fix that? Did any of you guys figure it out? I am having the same problem? Same here. Changed in the Xbox app and the old name still shows in Sea of Thieves. How I fixed it is I went into my xbox app and signed out of my xbox live account then back in, hope this helps!